İstanbul’s Sakıp Sabancı Museum (SSM) will open an exhibition of work by Catalan artist Joan Miró next month, marking the first time genuine works by the surrealist will be displayed in Turkey in a major exhibition after a six-year break. Set to run from Sept. 23 through Feb. 1, 2015, “Joan Miró. Kadınlar, Kuşlar, Yıldızlar” (Joan Miró. 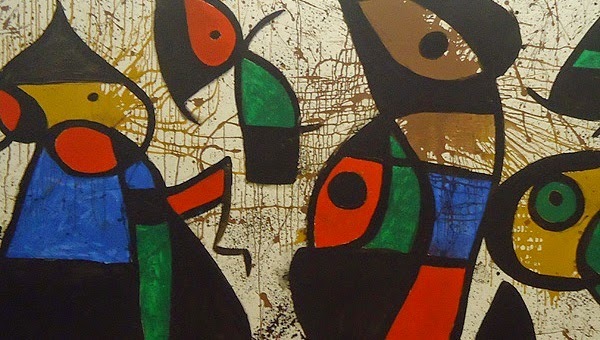 Women, Birds, Stars) will feature Miró’s paintings and sculptures as well as ceramic works and prints, according to a press release issued by Sabancı Holding on Friday. The exhibition will be a joint effort between the SSM, the Barcelona-based Joan Miró Foundation, the Successió Miró S.L. — a company formed by the heirs to the estate of Miró to administer the rights of the artist’s works — and the Pilar and Joan Miró Foundation in Mallorca. As its title suggests, the exhibition will focus on the themes of women, birds and stars, which are particularly important to “understand the symbolism of Miró, who was heavily inspired by his observations on the Mediterranean geography and people throughout his career,” according to the museum.